The information presented on this page was originally released on September 12, 2014. It may not be outdated, but please search our site for more current information. If you plan to quote or reference this information in a publication, please check with the Extension specialist or author before proceeding. MISSISSIPPI STATE -- Childhood visits to grandma’s farm, complete with a mean rooster, piglets on the loose and homemade apple pie, led one Mississippi State University graduate into full-time farm living. 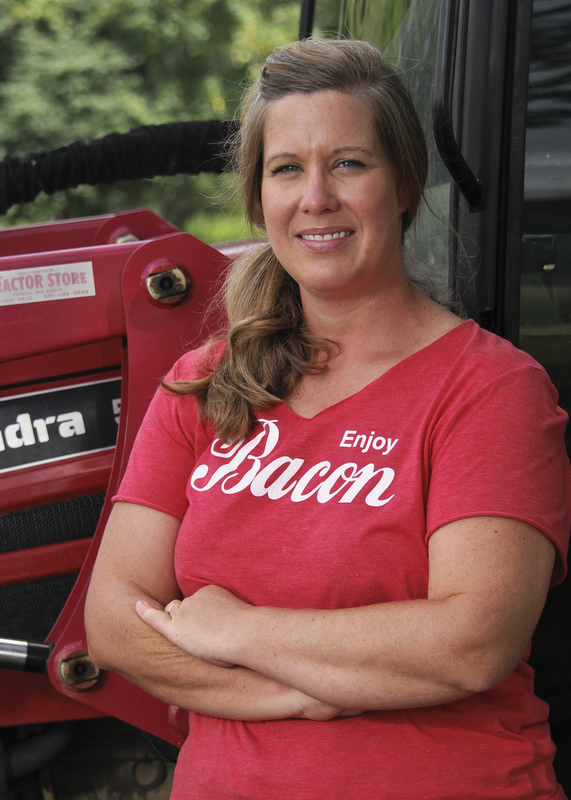 Brittany Reyer of Reyer Farms in Lena grows seasonal produce, free-range chickens for egg production, and pasture-raised heritage breed pigs and cattle with her husband, Jody. When they were expecting their first child, they began investigating options that would allow Brittany to stay home full-time. Before they knew it, Brittany and Jody had expanded their farm to the point that Jody quit his job at Nissan to farm full-time. Brittany said she values customer relationships and is committed to talking to people about what it takes to produce food on a small scale. The Reyers talk to their customers about what they grow, when they grow it, where they grow it, and how they grow it. “We are a service business. We understand coming to a farmers market can be overwhelming for a customer, so we try to slow down and make it enjoyable for folks,” she said. 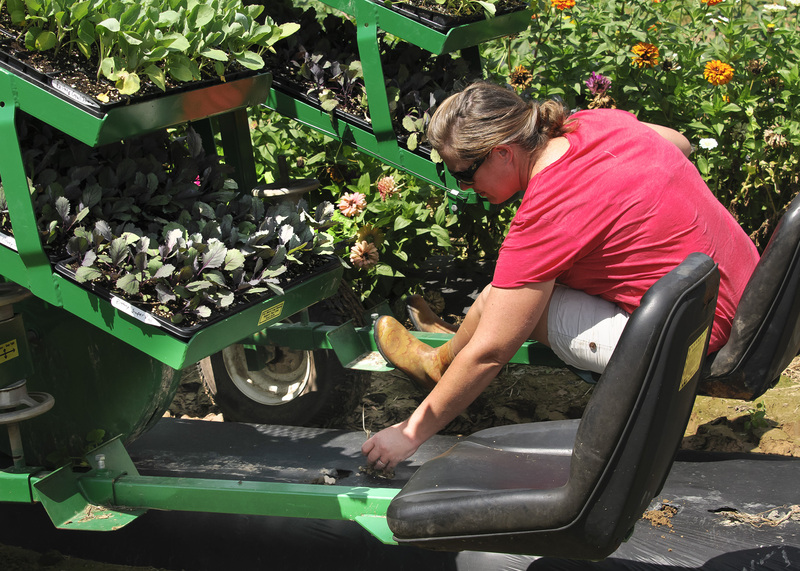 While coordinating the many moving parts of their farming business has been time-consuming, the biggest surprise for Brittany was how quickly word travels about fresh, locally grown foods. The Reyers recently expanded their farm operation to include a Community Supported Agriculture program that will provide produce, meat and eggs to shareholders. Their family continues to grow as well, as their second daughter was born in May. Raising her girls on a farm is important to Brittany. “There are many occupations that will get a lady ahead in life, but none as rewarding as this life,” she said. Ernie Flint, a regional agronomist for the MSU Extension Service, has known Brittany since she was a field service representative for what was then United Ag Products. Flint said his first visit to Reyer Farms was memorable. Flint said these women worked hard, often taking the primary role in the physical work of preparing the soil for crops, harvesting and making the important decisions that determine the success or failure of a farm. “Like many young women today, Brittany is an innovator, an equal partner with her husband in forming a good home and a good life for their young family,” he said. “Thankfully, there are still people like Brittany who are willing to be pioneers and to dedicate themselves spiritually, morally and physically to the task of building something of value for the rest of us,” he said. Visit Reyer Farms online at http://www.reyerfarms.com.